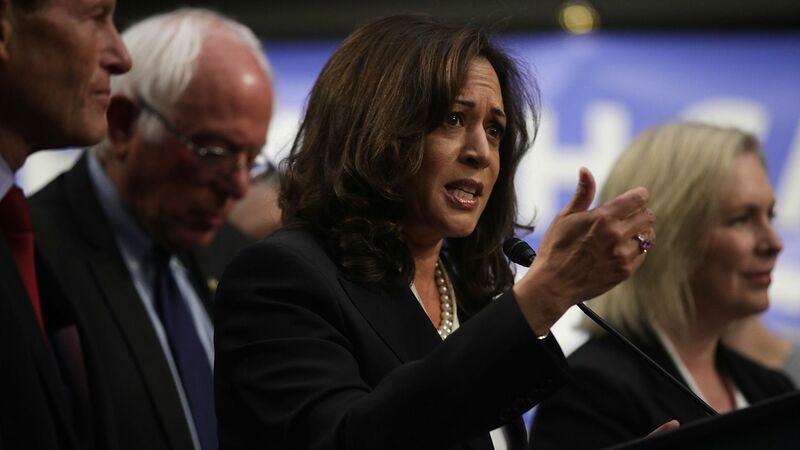 Kamala Harris is sticking with Bernie's "Medicare for All"
Sen. Kamala Harris (D-Calif.) sure doesn't sound like she's planning to soften her support for Sen. Bernie Sanders' version of "Medicare for All." When asked by CNN's Jake Tapper about the Sanders bill during an interview last night, specifically asking whether people who like their existing plans could keep them. What she's saying: "The idea is that everyone gets access to medical care, and you don't have to go through the process of going though an insurance company ... going through the paperwork. ... Let's eliminate all of that. Let's move on."